Air New Zealand has carved a successful niche using video storytelling as a way to drive engagement and customers from the North American Market. 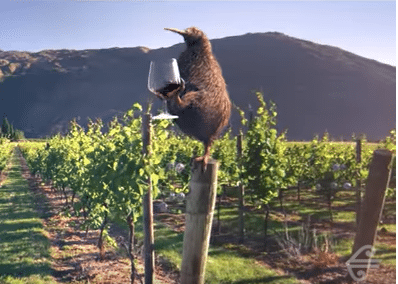 Pete, a flightless Kiwi bird, finds “A Better Way to Fly” in Air New Zealand’s latest campaign. One recent campaign piggybacked on noise from Tourism Australia’s Super Bowl spot that debuted last month. Air New Zealand created a piece of video content that positioned Down Under as the perfect place to escape the limelight for fans who had rooted for the losing team—the New England Patriots—in the big game. The storyline was backed by a strong retail offer for travel from the U.S. to Australia. The video went live the day after the Super Bowl. In its most recent campaign, A Better Way to Fly, video storytelling is the framework that supports the integrated campaign. Jodi Williams, GM of global brand and marketing for Air New Zealand, shares the brand’s strategy on using video storytelling as a marketing tool. CM: Storytelling through video is growing in importance for many brands. How does storytelling fit into Air New Zealand’s overall plan? JW: Storytelling is a big part of Air New Zealand’s marketing strategy as we continue to strengthen awareness for our brand in the North American market. As some travelers may not be as familiar with us we focus on telling our brand story and highlighting our uniquely kiwi personality. CM: What is your most recent campaign? JW: We recently launched our first global brand campaign, A Better Way to Fly, aiming to get people to choose Air New Zealand when flying to New Zealand, Australia and London. We launched the campaign in the North American market first, and video was the primary vehicle that brought the campaign to life. CM: What is the storyline? JW: The video features “Pete,” a character inspired by New Zealand’s national bird (the Kiwi), voiced by Kiwi actor Sam Neill. Pete takes viewers on his in-flight journey to show a little bit of New Zealand in the sky. The ability to show people what they can expect when flying with us, and to do this in a uniquely cheeky and playful way, gives us the opportunity to distinguish ourselves from the competition. CM: Was the video part of the overall strategy to amplify the Super Bowl spot? JW: The video enabled us to strategically piggyback off Tourism Australia’s spot which generated a huge amount of noise for the destination. Our video capitalized on this noise by talking to the same audience and encouraging them to choose Air New Zealand for travel to Australia. We also knew consumers would be engaging heavily on social media during the Super Bowl—in fact there were 170.7 million social media interactions across Facebook, Instagram and Twitter in the U.S.—so a social media play made the most sense without spending millions of dollars on an ad. CM: How did you produce the video? JW: Air New Zealand’s brand team partnered with Australian agency, Host, to produce the video. CM: How are you marketing the video? JW: Air New Zealand leveraged the post-game video across its social channels including Facebook, Instagram and Twitter. The content was also used in a YouTube media buy and amplified through PR. CM: Can you share any results from the video that followed the Super Bowl? JW: The video reached over 4.5 million consumers and was viewed over half a million times. Air New Zealand also saw a spike in social engagement across its channels with over 13,000 responses from consumers reacting, commenting and sharing the content. On YouTube specifically, the view rate surpassed industry benchmarks. And the campaign was picked up in broadcast media in the U.S. and New Zealand on KTLA and TV3. 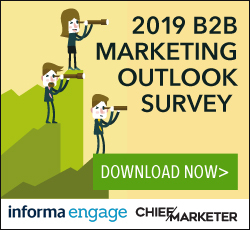 CM: Do you do any other type of storytelling in your marketing? JW: Air New Zealand continues to attract global attention for its creative take on the inflight safety video. Collectively our videos have generated more than 108 million views online, helping to drive awareness of our brand, our products, our people and our destinations. CM: What safety videos have you launched? JW: Our first safety video— “Bare Essentials of Safety”—debuted in 2009 and captured the attention of audiences all around the world. Most recently we launched “A Fantastical Journey,” starring Cuba Gooding Jr. and Katie Holmes. The Alice in Wonderland inspired video takes viewers on a magical tour of New Zealand, and within 24 hours of its release, the video garnered over 12 million views. CM: What are you doing beyond the safety videos? JW: We continue to look for opportunities to create content that is tied to a moment in time, like the Super Bowl. This past Christmas we released “A Very Merry Mistake”—the heart-warming tale of a puzzled Santa trying to decipher unusual requests from Kiwi kids. Not only was this a timely campaign leaning into the holiday season, it was also a great way to increase brand awareness through storytelling. Just one month following its release, the video has racked up 13 million views and received the number two spot on Entertainment Weekly’s list of 2017’s best holiday commercials from around the world.